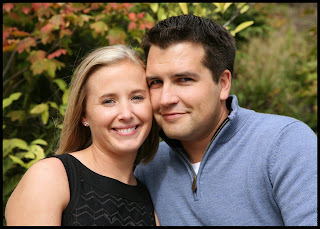 One more week until Jane & Tom tie the knot! Next week at this time, Jane and Tom will be married. I am so excited for their big day! 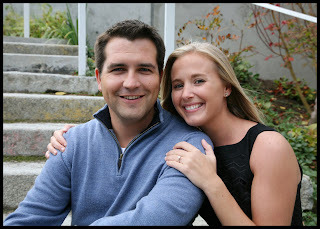 They will be getting married at University Presbyterian Church and having their reception at The Harbor Club in Seattle. 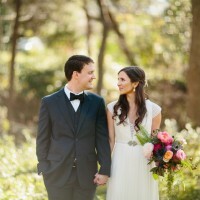 Jane & Tom met at University of Washington, at a mutual friends bachelor/bachelorette party in Whistler. Then two and a half years later they were on vacation with a few friends in Hawaii and Tom surprised Jane with a proposal on the beach in Oahu. Tom caught Jane completely off guard with his proposal, which I think is so romantic! As for decor for the reception, Jane and Tom have kept things simple and elegant. The Harbor Club is such a beautiful venue and has the most amazing view! The bridesmaids will be wearing champagne colored dresses and the groomsmen will be wearing tuxes with matching champagne vests & ties. Here are a few of the amazing vendors that will be helping them celebrate their big day! Jane & Tom, I hope that you have a great and relaxing week! I have really enjoyed getting to know you and I am looking forward to your special day!